Apple CEO Tim Cook is set to collect stock worth about $120m (€103.5m) this week thanks to a run-up in shares of the iPhone maker. On Friday, Mr Cook stands to receive 280,000 shares tied to his continued service as chief executive officer. He’ll get as many as 280,000 additional shares if Apple’s stock-market return over the preceding three years exceeds at least two-thirds of the firms in the S&P 500. Apple returned 119pc from August 25, 2015, through the close of trading on Tuesday, including reinvested dividends, outperforming more than 80pc of companies in the index. Barring a major collapse this week, that all but ensures Mr Cook will collect the maximum number of shares for his fifth consecutive payout at the top end of the range. The executive said in 2015 that he planned to give most of his fortune to charity. 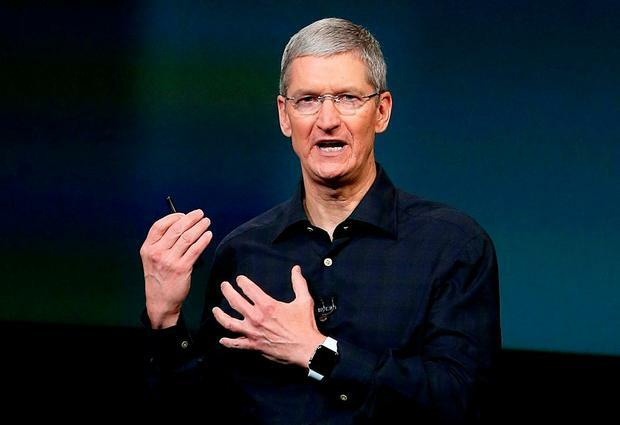 On Tuesday, an Apple regulatory filing said Mr Cook had donated 23,215 of his current Apple shares. Mr Cook (57) gets annual instalments from a massive award of restricted stock he received in 2011, when he succeeded Steve Jobs. Last year, about half of Mr Cook’s 560,000 shares were withheld to cover taxes. The rest were sold, netting him about $43m. Aside from the stock, Mr Cook also gets a $3m salary and earned a $9.33m cash bonus in 2017. He hasn’t received new equity grants since 2011. The CEO is currently worth about $700m, according to data compiled by Bloomberg.